AMHERST – Milk and bread. Beer and kitty litter. General stores are convenient when you need something, but they also give people who live in small towns much more: a community gathering spot. Sure, churches, barber shops and cafes can fill that role, but the right kind of store probably does it best. General stores in small towns fulfill the human need for another place to go, a third place that’s not home or work, Reinstein said, explaining how the postwar boom in the mid-20th century eventually led to the resurgence of the small-town general store. The suburban houses were neat and pretty, filled with amazing new appliances. But these “perfect towns” were lacking something. So some people moved out of them and went to small towns all over New England. And when the stores closed, they were bereft. Quickly and exuberantly, Reinstein told story after story about general stores and the people who love them, and sometimes save them. The central problem is that the “shelf life” of their owners is no more than 40 years. 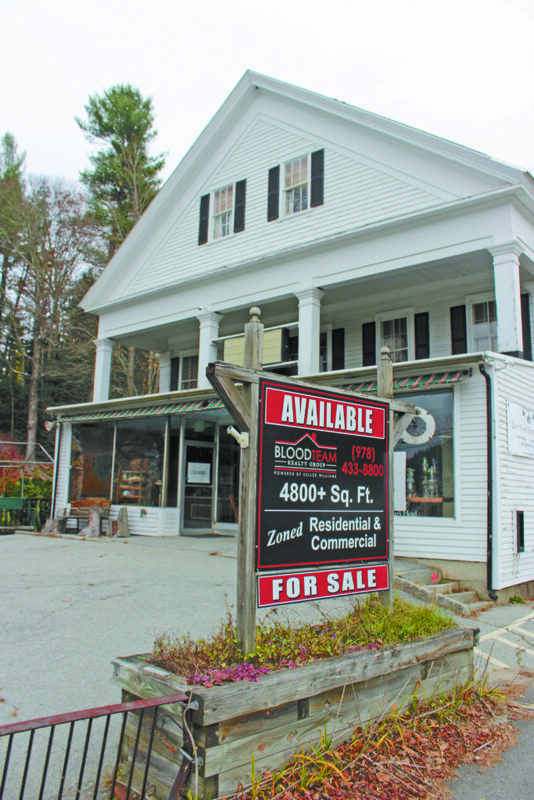 That was the case in South Acworth, N.H., where the store closed after 37 years. The owner couldn’t find anyone to buy it, so people came together and formed a co-op and threw a harvest dinner that brought people from all over the state. Then there was Marjorie Pierce, who, at 92, was running her Shrewsbury, Vt., store all by herself when she closed it in 1993. But not without guilt. And she felt doubly guilty when she overheard in the post office a husband say to his wife that he hadn’t seen a friend who lived nearby since the store closed. So Pierce called Paul Bruhn, “the saint of preservation in Vermont,” said Reinstein. Pierce told Bruhn the store had to re-open and that she would give it to him, along with $10,000. But the elderly woman would not take no for answer. 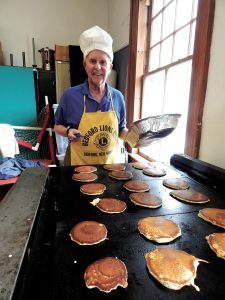 Thirty-five minutes later, the Preservation Trust of Vermont, of which Bruhn is the executive director, owned the store and it re-opened after Preservation Trust staff showed townspeople how to run it. Some Shrewsbury residents, however, complained about the purchase of an emergency generator for the store, but they stopped complaining in 2011 after Hurricane Irene, the worst natural disaster in the history of Vermont. “All the lights went out in Shrewsbury except in one little spot,” Reinstein said, and townspeople were grateful for the hot coffee and wi-fi. One general store lover is Steve Carell. comedian bought the Marshfield Hills, Mass., store after his sister-in-law told him the property would be developed into condos. Carell had a soft spot for general stores, because he grew up in Acton, Mass., where its store was the first place he was allowed to go by himself to buy candy. But nostalgia isn’t a good enough reason to keep these stores alive, Reinstein said, they must truly serve their communities. “If it doesn’t survive as a business, it shouldn’t exist,” he said.